The inkling of a calling appeared while he was young and curious. He wanted to know about the people who had inhabited the land upon which his family’s Minnesota resort stood. Appropriately, the eight-cabin resort on the north shore of Norway Lake near Pine River was called Camp Show-Me. The property showed Douglas Birk plenty. He found evidence of an Indian village, logging activity, and the remains of a burned house. In between sharing resort chores with his older brother Delbert, Doug asked people about the land. He found individuals who were part of the logging industry and early settlement to tell him about those aspects of the property, but no one knew anything concerning the Indian inhabitants. That didn’t dissuade him. Doug’s interest in early local history was further encouraged by John “Pete” Humphrey, a historian he met during a Boy Scout Jamboree. The Scouts were treated to a hiking tour of Old Crow Wing, accompanied by Pete’s unforgettable descriptions of this early central Minnesota settlement. Around this time, when Doug was a sixth grader, he learned about Lt. Zebulon Pike’s 1805-06 Mississippi River expedition. The thought that Pike, on his return from Leech Lake, may have portaged across or near his family’s property was a thrilling one. Despite his parents’ contention that one could not make a living practicing archaeology, Doug’s curiosity in the evidence left by past people did not wane. He started his post-secondary schooling at Brainerd Junior College and then transferred to the University of Minnesota, Minneapolis, where he studied the only program available for his passion, prehistoric archaeology. The program focused on the lives of those who didn’t have written records, primarily Native North Americans. In the summer of 1966, he attended a field school at Mille Lacs-Kathio State Park led by Elden Johnson, a “master” archaeologist in his eager pupil’s eyes. Under Elden’s tutelage, Doug learned the hands-on craft of archaeology, along with its rigorous methodologies. Elden recommended Doug to the Minnesota Historical Society and he was offered a job. When Doug went home to tell his parents the good news, his mother promptly handed him a letter from the draft board. He was going to Vietnam. Prior to being shipped to Vietnam, he learned two Military Occupation Specialties, Traffic Analyst and Portuguese Linguist. As a Traffic Analyst, he eavesdropped on the radio communications of the enemy, gleaning information that allowed the American military to know where to send its B-52 bombers. Through 24-hour radio surveillance, his team could eventually identify different enemy radio operators by their distinctive sounds and radio keys. After serving three tours of duty in the Vietnam War, Doug returned to Minnesota. In 1970, he got a job with the Minnesota Historical Society working on the Minnesota Trunk Highway Archaeological Reconnaissance Program, which showed highway engineers the potential impacts of road construction on historical sites. The job allowed Doug to practice archaeology all over the state. He worked at the state historical society until 1982, all the while amassing a concrete knowledge of early state history through the sites he studied. 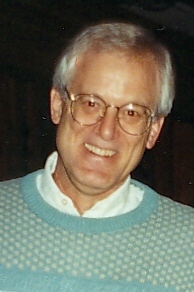 Much of Doug’s work centered on the European colonial period in Minnesota and western Wisconsin. He became an expert in fur trade history and early European exploration. In the fall of 1983, while doing an investigation of the Little Elk Heritage Preserve near Little Falls, he and fellow archaeologist Dean Anderson decided to canoe down to the site of Zebulon Pike’s fort. Knowing that the fort site was flooded upon the construction of Blanchard Dam in 1924, the men wanted to see if they could find the approximate location, check the depth of the water, and investigate the potential for underwater archaeology, one of Doug’s specialties. They were surprised to find that it was on a terrace under only three feet of water. The following year, Minnesota Power planned to lower the Mississippi River between the Little Falls and Blanchard Dams in order to repair the latter. Doug was more than ready to find and investigate the fort site. After all, he’d been a fan of Pike’s since the sixth grade. The Institute for Minnesota Archaeology (IMA), of which he was a founding member, arranged for an excavation. On the second day of fieldwork in 1984, Doug and his team relocated the fort and determined its archaeological integrity. Team members worked methodically on the site, pretending they had years to excavate, rather than days. Soon, the repairs were completed at Blanchard Dam and the water began to rise in the reservoir. The team quickly finished its map work, put permanent markers at the site for future archaeologists, and replaced the sediments they had removed. Doug figured that was the end of that. He would never have a chance to investigate the site again. Much to his surprise, a pipeline company requested that the river be lowered again the following year. When Doug led another IMA crew to the site, they were joined by television crews covering the story. Minnesota’s governor proclaimed Pike’s Fort Day in Minnesota. The Secretary of the Army designated the site an active Army Fort for a day-long ceremonial dedication. To celebrate, Doug built a speaker’s platform of sediment and a flagpole out of an aspen taken from the Little Elk Heritage Preserve. The flag was raised by a Color Guard from Camp Ripley while the Fort Snelling fife and drum corps played. The 1985 excavation ended prematurely; the work of the pipeline being completed much sooner than the archaeologists expected. After the conclusion of the fort festivities, one of the archaeologists saw that the river was rising. It was a mad scramble for the team to replace sediments and ready the site for its rapid submersion. Doug’s archaeological work did not end with the excavation of Pike’s fort, but continues to this day. Current projects include studying the history of the railroad depot in Pine River, creating a guide to early Minnesota and Wisconsin portages, map collecting, and finding the specific route Pike traveled on his Mississippi River expedition. His inquisitiveness about the past has not abated over the years. He continues to seek answers to his questions with the same diligence and excitement he exhibited as a child. Hi Folks! I was a member of the 1st years team who located and mapped the site of Pike’s Fort. It was the experience of a lifetime, and I still tell my students about it (I now teach geography at Minneapolis and Community College in Minneapolis). Thanks so much for telling our story here! You’re welcome, Jerry! Thanks for being on the team and contributing to our knowledge of Pike’s time in our area. If whoever this is going to is willing to pass it on to you, it would be appreciated. If you want more info Google my name or ham call-sign N0PEY.